GC "URALKRAN" is a reliable supplier of port load-lifting equipment, equipment for logistics hubs and container terminals, as well as services related to maintenance, automation and upgrading of existing equipment. Our products are equipped according to the state-of-the-art know-hows of the industry and are equipped with innovative service programs, allowing for twenty-four-hour operation under the conditions of operation in terminals with high-throughput. Equipment for unloading vessels - ship-to-shore container cranes, portal cranes. Equipment for container yards - rear container cranes, truck- and rail-mounted gantry container cranes, including automatic. Intermodal terminals - rail-mounted gantry container cranes (automatic, manually operated) with load control and container swing preventing systems. 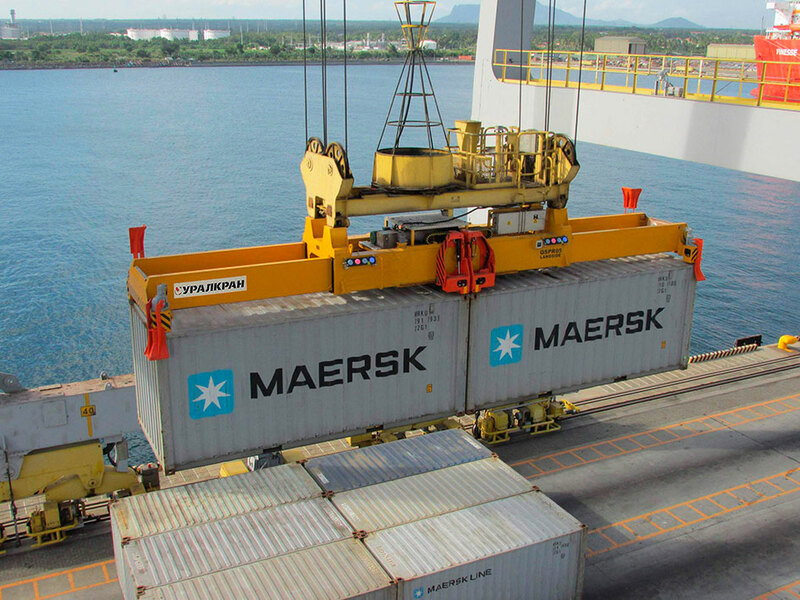 Heavy-duty container cranes for operational transfer. Parts, mechanisms and electronic devices - gearboxes, drives, control systems, etc. Automation, operator safety and load control systems. GC "URALKRAN" cranes are reliable, effective and completely justifying investments. Also, we provide service programs that guarantee availability of heavy equipment throughout lifecycle.